For beach lovers, sun, culture, sports, good food and fun, for all of you…you have Valencia! 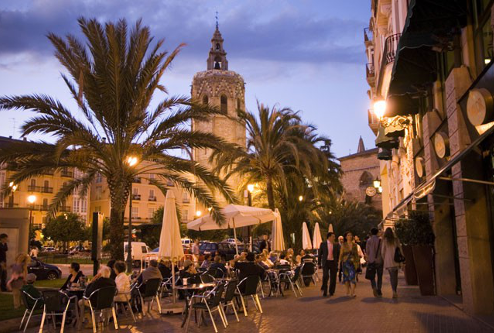 To visit Valencia capital means to go through years of history, where the fusion of cultures is palpable in the environment and gives you the opportunity to enjoy its streets, which offer us many events of tourist interest. Located in the east part of Spain, crossed by the Turia River and bathed by the Mediterranean Sea, Valencia is the result of a mixture of cultures, such as Roman and Muslim, among others. All these cultures left an immense legacy and a deep mark with its more than 2,000 years of history, making this city a unique place that does not leave any visitor indifferent. And that is why UNESCO has declared three of the places as World Heritage Sites in this city: The Water Tribunal, the Silk Exchange and Las Fallas Festival, all of them being a source of pride for the Valencia and for you three more excuses, among many others, to choose Valencia as your travel destination. If you’re visiting this city, you shouldn’t ignore its historic centre, which is one of Spain’s most extensive historical centres. You will be able to admire a rich artistic heritage that will take you back to the most ancient medieval times. Once passing trough the large towers such as “Torres de Serranos” or “Torres de Quart“, Valencia welcomes you to it’s old city centre, whose Gothic styles and imposing facades will take you back to ancient times. Part of the famous Valencian Cathedral and imposing itself in the middle of the old town, the bell tower, “El Miguelete”, dominates the horizon of this beautiful city, which will take you to the top of its 207 steps to give you incredible views that are the result of a fusion between Gothic and contemporary styles. Here you can also find the Central Market, where you can immerse yourself in the local culture and taste its unique local products, such as: the Valencian horchata, its tasty oranges or its great varieties of rice, making this market a must for any tourist. And as if it were a labyrinth, its cobbled streets make the Barrio del Carmen an essential place to visit in Valencia. It is a bohemian district that offers many alternatives both day and night, from visiting one of its many museums: MUVIM, IVAM, etc…. to going for tapas on one of its terraces, and ending the night in one of its pubs… all this, in the magic of an old corner where its atavistic history and current customs go hand in hand. Moving on to the Eixample area, declared Valencia’s shopping district, you will be able to enjoy a great variety of typical gastronomic local dishes, such as mussels and of course, the famous Valencian Paella, the symbol of Valencia gastronomic excellence. If you still have the energy to continue discovering this city, we invite you to visit the extensive arabic style garden on the Turia River, which, due to the numerous floods caused in the past, ended up becoming a place full of flowers and colors, where the beauty of the flowers accompany you on a pleasant walk along the course of this busy river bend. 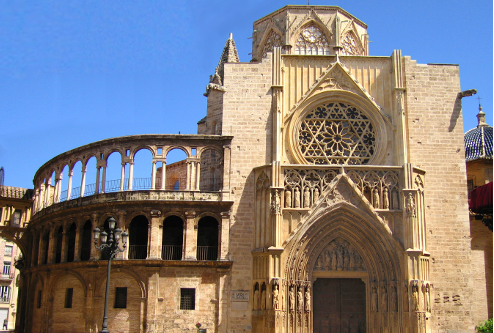 If you’re looking for sightseeing in Valencia with children, it’s easy for you. From the famous “Pont de les Flors” to the great and fun Gulliver Park, this tour will give you dozens of options to live great experiences with your children. This colorful artery brings together such emblematic places as the City of Arts and Sciences and the Fallas Museum, places that will give you many ideas about what to do in Valencia. 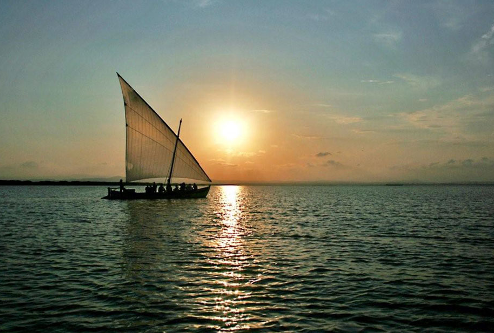 Heading south of Valencia, just 10 kilometres away, you can take a boat ride on the sweet waters of the unique Albufera, a name that comes from the Arabic word “Al Buhaíra”, short for Al Bhar (the sea). This emblematic place is a Natural Park considered the largest lake in Spain and which contains a great variety of native species of the province. This great lake was formed due to the closure of a very old gulf, with the appearance of a coastal language “restinga”, which extends from Valencia to Cullera. Located on the banks of La Albufera, you will find the characteristic village “El Palmar”, where the famous Valencian Paella was born and where you can see the traditional “barracas”. Set in this traditional place, Vicente Blasco Ibañez wrote the well-known novel “Cañas y barro” (Reeds and Clay). And to finish this tour, what better way then to swim in the sea on one of the beautiful beaches that bathe Valencia: Playa de El Saler, Playa de Pinedo, De La Garrofera, El Cabanyal and La Malvarrosa, are some of the beaches that bathe this coastline and offer you the opportunity to relax while tanning under Mediterranean sun. Or maybe you are one of those who prefer to buy a property on the Costa Blanca and move permanently to Spain. Not only does this city offer a wide variety of resources to tourists, but it also has an excellent geographical location, which allows you to get to know the rest of Spain by various means of transport. Its proximity to the main cities, Madrid and Barcelona, and just 2 hours away by boat to the Balearic Islands, counting with two airports (Valencia Airport & Castellon Airport) that will help you to access all the tourist destinations in Spain comfortably and quickly. For the nature lover, there's plenty to discover in the Valencian Community! Be enchanted by some of the most beautiful ancient treasures! That's why people come from all across the world to enjoy Valencia!